Sisters and Brothers, The Snodgrass family has recently been delivered some crushing news; their 11 month old son and baby brother MJ, has been diagnosed with leukemia and will be receiving treatment at Shands for at least the next month. Please keep MJ, Matt and their entire family in your prayers. A GoFundMe page has been set up to assist the Snodgrass family through this difficult time. Sisters and Brothers, Please see the attached, recently signed, Memorandum of Understanding regarding reverse seniority severance opportunites for Field Service Reps. Should you have any questions, please contact your Local Union officers or the System Council office. Thank you. Sisters and Brothers, Please see the attached revised MOU that was recently agreed to by System Council U8 and Duke Energy, regarding overtime relief on weekends for distribution linemen. Thank you. Sisters and Brothers, Please see the attached MOU that was recently agreed to by System Council U8 and Duke Energy, regarding RSS opportunities for Production. Thank you. Sisters and Brothers, Please join me in congratulating and thanking Jason Wilson for accepting his appointment to the System Council Vice Chairman position. Jason is the Business Manager of Local Union 682 and does an outstanding job representing his membership. He will be vital in the future success of System Council U8 in his officer role. Sisters and Brothers, Please remember to cast your vote on contract ratification today. Check with your Local leadership for logistics concerning times and places or contact the System Council for specifics. Thank you all for all that you do and Merry Christmas. Sisters and Brothers, The contract ratification was overwhelmingly rejected by membership today. Many thanks to all who took the time to vote. The System Committee will return to the bargaining table the week of November 26th and will continue to work diligently in getting an agreement that you will ratify. Please continue to work safely and have a happy and blessed Thanksgiving. Sisters and Brothers, System Council U8 and Duke Energy met at the bargaining table to negotiate wages and certain insurance benefits yesterday in Wildwood. 2017 – 2021 Hines memorandum of agreement ratified by membership! Dear Sisters and Brothers, The proposed 2017 – 2021 Hines memorandum of agreement has been ratified by membership! The IBEW’s mission is to bring the highest quality of safety, dignity, respect, wages, benefits, and balance in the work-life equation to the bargaining unit employees that we represent. 2016 – 2019 memorandum of agreement ratified by membership! Dear Sisters and Brothers, The proposed 2016 – 2019 memorandum of agreement has been ratified by membership! The IBEW’s mission is to bring the highest quality of safety, dignity, respect, wages, benefits, and balance in the work-life equation to the bargaining unit employees that we represent. 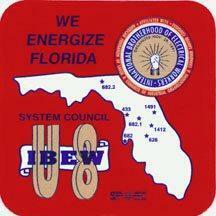 Local Union 682 Ratification Vote Clarification of Times/Locations 682 Main Local Voting Dunedin Elks Lodge 1240 San Christopher Drive Dunedin, FL 34698 Hours – 7:00 am to 8:00 pm Unit 682.1 Site #1 System Council - U8 Offices 5396 N. Lecanto Hwy. Beverley Hills, FL 34465 Hours – 7:00 am to 8:00 pm Unit 682. The System Committee has recently completed the 2016 negotiations and is recommending contract ratification. The Locals will be holding ratification votes in each area on January 17th. Please check with your Local officers or stewards for more information. Please see the MOC attached. To all of our IBEW sisters and brothers that are restoring power due to Hurricane Matthew: Please take exceptional care of yourselves while you perform your jobs. A lot of people do not realize that you are out there restoring power to people’s homes when you yourself may not have power at your home or that you may need to work on your own damaged property. Monday, January 11, 2016 Dear Sisters and Brothers, We have, after many months of negotiating, agreed to and signed a Memorandum of Agreement (MOA) for the Citrus Combined Cycle Site (CCCS). The MOA will be released in its electronic version as soon as the parties are able to finish compiling the MOA language into a formatted and easy to read final product. Dear Sisters and Brothers, I received information from the Company today that there are still many bargaining unit employees who have not signed up for their 2016 benefits. If you miss signing up during the annual benefits enrollment period, you will receive the default benefits. Part of the default benefits menu is that you will not get the non-tobacco user (NTU) reduction. Brothers and Sisters, Tonight membership voted to ratify the 2015-16 re-opener for wages and benefits. This agreement secures a 3% general wage increase that will be effective on December 7th, 2015 through December 4th, 2016. I would like to say thank you to all of the members that took the time out of their busy schedules to come out and vote their voice on the issue. 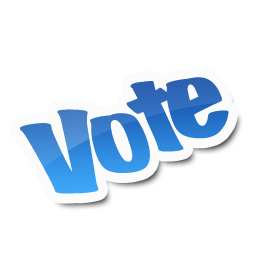 The following locations will be utilized for the different Local Union votes: Local Union 1491 4454 Cave Lake Rd. Sisters and Brothers, Please be advised that the Wage & Benefits Re-opener proposal ratification vote date will be on Thursday, November 12th, 2015. We will post further information detailing the specific times and locations for the individual Local Unions as soon as those can be determined. 2015-2016 Wage & Benefits Re-opener Proposal Dear Sisters and Brothers, The Union and the Company have negotiated a final wage proposal for the 2015 contract re-opener. Duke Energy Florida presented a last best offer which, if ratified, would be effective from December 7, 2015 to December 4, 2016. 2014 Hines Energy Complex Negotiations Conclude Brothers and Sisters, On Thursday, March 13th, the Company and the Union concluded the Hines Energy Complex negotiations. Today was the first day of the 2014 Hines Contract Negotiations process. Local Union 626.1 will be meeting with the goal of negotiating a contract that is fair to the hard working IBEW Union employees at the Hines Energy Complex. Please show your strong support for your fellow Brothers and Sisters working under our Hines contract. More will be posted as we progress through this process. Dear Brothers and Sisters, The Contract has been ratified by the membership. I would like to thank all the members that took the time to come out and vote. Many thanks to all of you for your unified support while we were at the table. Thank you to the Local Union officers and members who manned the polling sites. Good Morning Brothers and Sister; This picture was taken at 07:00 on Friday, February 28, 2014, the morning of our System-wide Contract ratification vote. The parking lot at the System Council office was full, including overflow parking on the side and rear of the property. Attached please find two files with the proposed Exhibit “A” wage rates for the next 2 years. There will be a “wage opener” for the 3rd year of the contract. This is a preliminary draft of the proposed wages. If there are any errors, please email the information through our web site and we will review the document. Brothers and Sisters, Please see the attached Power Point presentation with an abbreviated overview of the proposed language for our new contract. The Full document with all the changes is already posted on this web site. We will be adding a separate document to our web site with the proposed wage increases for 2014 and 2015. Please see the attached document which contains some of the new proposed contract language changes. Additional documents and information will be posted in the coming days along with the dates, times and locations for upcoming information meetings. Please check back with us on a regular basis for the most current information. Please continue to work in a safe and professional manner. Brothers and Sisters, On Tuesday night (2-11-2014) at approximately 22:00, the Company presented the Union with their final package in an attempt to conclude our 4 month negotiation process. Your Union Committee is verifying the "details" of the agreement at this time and is hopeful a final package can be sent to our members on Wednesday afternoon. 1-22-2014 Brothers and Sisters: The purpose of this communication is to reiterate the message that has been communicated to the members at our regular Union meetings. The following is a brief outline of our negotiation process and the current status of our negotiations with Duke Energy here in Florida. My Fellow Brothers & Sisters; Sixteen months ago Duke bought Progress Energy. On December 5, 2013 Duke sent the Union a letter containing official notification of the Company's intent to Terminate our contract. Our existing Contract will terminate at 23:59 on February 3, 2014 unless the parties reach an agreement for a new contract. Brothers and Sisters, The Union and the Company have mutually extended the February 3rd contract deadline in an effort to allow ample time to continue our negotiations in a productive manner. The parties will continue to meet with the goal of obtaininig an agreement which can be recommended by your Union committee and ratified by the members. “The new DUKE Company is attempting to take away the benefits that our former Brothers and Sisters have gained for us over the past 70 years.” Ed Mobsby Brothers and Sisters, Attached you will find two PDF files.